For the Newcombe family, communication and working together is the key to keeping their farm operating smoothly. With the farm now in the hands of the ninth generation, seeing their farm continue to thrive and grow for so long is something that the entire Newcombe family is proud of. Craig and Geneve Newcombe, in partnership with Craig’s brother Brian and his wife Edna, own and operate Cornwallis Farms. The farm, in operation since 1761, consists of 1,700 beautiful acres in the Annapolis Valley and is home to dairy cows, laying hens, and broiler chickens. 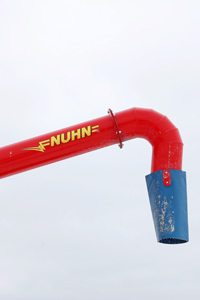 In addition, the farm produces a number of crops and has an on-farm feed mill to provide feed for all of their livestock. The Newcombes laying hen operation consists of 21,000 laying hens that produce about 20,000 table eggs daily. The eggs produced on their farm are shipped to Atlantic Poultry Incorporated for grading and distribution under the Nova Egg label. 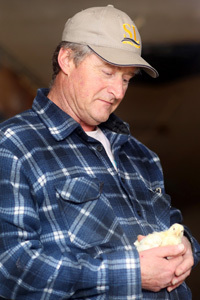 In addition to laying hens, Cornwallis Farms also has a broiler chicken operation. Geneve explains that they have six barns that produce 1.4 million kilograms of meat each year. Their broilers are shipped to Eden Valley Poultry for processing and distribution. While Craig mostly oversees the poultry and feed mill operations, Geneve looks after the record keeping and finances and Brian oversees the dairy and cropping operations. 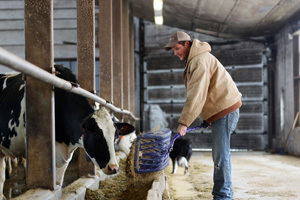 Sixty-five dairy cows are housed in a free-stall barn and are fed a mixed ration of haylage, corn silage, grain corn, and soybeans, all of which are grown and processed on their farm. The cows are milked twice a day in a double six parallel parlour. 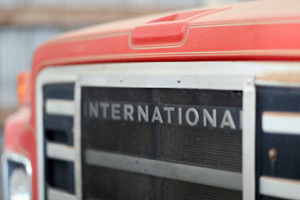 For Brian, farming is both a lifestyle and a business. With 1,700 acres of crop land, the environment and taking care of the land is a top priority for the Newcombe family. In 1993, they stopped tilling their farm land to reduce soil erosion and improve the health of the soil. Today, the majority of their crop land is not tilled at all or strip-tilled, a conservation system that uses minimum tillage and only disturbs a portion of the soil that is to contain the seed row. Brian also adds that they use GPS and variable rate controllers when fertilizing their crops. This helps reduce overlap and excess fertiliser from being applied. Although Craig and Brian currently own and operate Cornwallis Farms, Craig’s son David is eager to learn the ropes. In 2014, David graduated from Saint Mary’s University with a Bachelor of Commerce and has since brought his business knowledge back to the farm. David is the tenth generation on the farm. David is the middle of Craig and Geneve’s three children. Craig and Geneve’s oldest son, Robert graduated from Dalhousie University Faculty of Agriculture in 2010 with a diploma in engineering. He continued his studies at Dalhousie University in Halifax and now works as an industrial engineer at Barrington Consulting in Halifax. Craig and Geneve’s daughter, Kathleen, is currently in her third year at Acadia University. She studies kinesiology with the aspiration to someday be an occupational therapist. Although Kathleen is not on the farm full time, she works on the farm during the summer and on Christmas break collecting eggs and working in the chicken barns. Brian and Edna also have three children. Their eldest daughter, Leah, is in her third year of business at Saint Francis Xavier University and is studying to be an accountant. Their son Evan (14) enjoys working on the farm when time allows. Ryan, the youngest of the three, is 10. In addition to raising their children and managing a bustling farm, Craig and Geneve and Brian and Edna have always been involved and give back to their communities as much as they can. Both Craig and Geneve currently sit on a number of provincial agricultural and community boards and Brian is chair of the Annapolis Valley Farmland Trust. 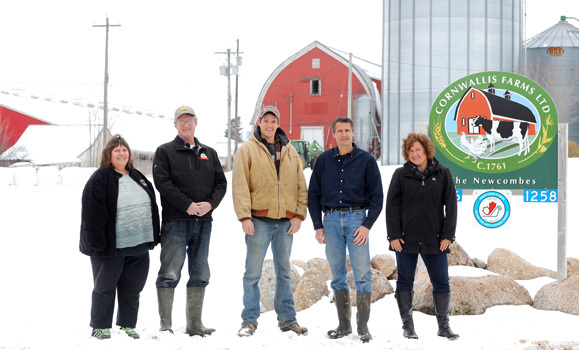 Not only is the Newcombe family a tenth generation family farm, they pride themselves on having four generations of AC grads in their family. Geneve explains that Robert F. Newcombe, Craig and Brian’s grandfather, graduated in the Class of 1907, just two years after the Nova Scotia Agricultural College opened. Robert H. Newcombe, Craig and Brian’s father, graduated in the Class of ’45. Geneve and Craig were both Class of ’86 while Brian was Class of ’91 and his wife Edna was Class of ’95. Craig and Brian’s brother Andrew, who now operates his own landscaping company, and his wife Audrey are both Class of ’91. Finally, Craig and Geneve’s son Robert graduated in the Class of 2010. With the farm transitioning into the hands of the tenth generation, Craig is proud that his son David chose to follow in his footsteps and that the farm will be passed down to yet another generation of Newcombes.